In my previous post, I had mentioned about the "Great Quotes Auto Tweets" feature. Even if this feature is very useful; as of now, only few people have started using this free feature. So, I thought of explaining this feature in detail. Watch the below video to start using the "Great Quotes Auto Tweet". If you have already enabled this feature, you can share your experience and your suggestions for improvements thro' the comments. Microsoft is releasing Office 365 for offering a cloud service which extends Office to the cloud. i-e Microsoft office will be competing with Google Apps. Since Google Apps. is getting competition from Microsoft, Google has started promoting Google Apps. rigorously. Google has published a blog post "365 reasons to consider Google Apps " which compares Office 365 and the Google Apps. Find below the infographics provided by Cloud Hypermarket to know about Microsoft office 365. 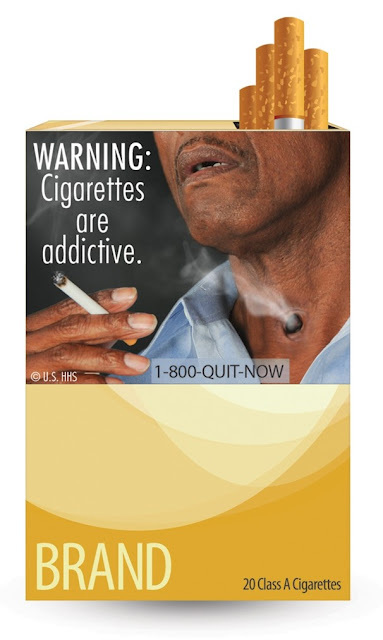 It seems Google is developing an interesting website for promoting its products. This site is WDYL.Com with the Title "What do you Love?". Remember to include www before the wdyl.com, otherwise we will be getting "404 page not found" error. The search result screen is showing search result from various Google products. And, the results are arranged in attractive way. It looks like Google is going to use this WDYL site for promoting its products such as Picasa, Google News, Google books, Google product search, Google groups, Google translate, Google Earth, Google blogger, gmail, Google image search, Google calendar and YouTube. When I tried to search QualityPoint, WDYL showed some relevant results and it showed some irrelevant results also. 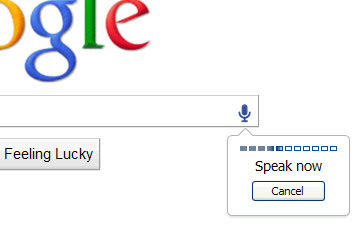 Obviously it is difficult to get relevant results in all Google products for most of the search words. So, the WDYL site will be more useful for promoting Google products among beginners. And, it can be used as a bookmarking for various Google products. Apart from this promotion and bookmarking, this WDYL may not add any additional value for the users. Note that few days back, I had announced about OnePass for accessing all the QualityPoint products. It seems Google's WDYL is something similar to our OnePass. Since Google is planning to use WDYL for promoting the Google products, I think our onepass approach will be helpful to promote our products and websites. So, I am planning to focus more on promoting our OnePass. I will be giving PR3 link for any one who includes link for our onePass site in their blog/site. Since we are having good experience in php cURL, I think we can implement WDYL like promotion plan in our OnePass site. WSJ has reported that the Federal law-enforcement officials arrested former Citigroup Vice President Gary Foster and charged him with bank fraud for allegedly embezzling more than $19 million from Citigroup. Foster is charged with transferring money from Citigroup accounts into a cash account and then he wired the money into his personal account at another bank. Foster caused an incorrect contract or deal number to be placed in the wire transfer instructions to hide his activities. Foster was arrested Sunday morning at JFK Airport when he arrived on a flight from Bangkok. If convicted, he will face a maximum sentence of 30 years’ imprisonment on the bank fraud charges. Find below "Press Release" released by United States Attorney office. Gary Foster, a former vice president in Citigroup, Inc.’s treasury finance department has been arrested on bank fraud charges arising from his embezzlement of more than $19 million. Foster was apprehended at John F. Kennedy International Airport Sunday morning when he arrived on a flight from Bangkok. Magistrate Judge Ramon E. Reyes, Jr. at the United States Courthouse, 225 Cadman Plaza East, Brooklyn, New York. According to the complaint, Foster transferred money from various Citigroup accounts to Citigroup’s cash account and then to his personal account at a different bank. Between July 2010 and December 2010, he allegedly caused approximately $900,000 to be moved from Citigroup’s interest expense account and approximately $14.4 million from Citigroup’s debt adjustment account to the bank’s cash account, and then caused the money to be wired out of Citigroup’s cash account to his personal account at another bank in eight separate wire transfers. The complaint further charges that Foster caused a fraudulent contract or deal number to be placed in the reference line of the wire transfer instructions to create the appearance that the transfers were in support of an existing contract. “The defendant allegedly used his knowledge of bank operations to commit the ultimate inside job. We are committed to ensuring the integrity of the banking system and to prosecuting those who would undermine it for their personal gain,” stated United States Attorney Lynch. Ms. Lynch expressed her appreciation to Citigroup, which brought this matter to the attention of the FBI and the U.S. Attorney’s Office. And, Citigroup has acknowledged that about $2.7 million was stolen from about 3,400 accounts on May 10 th Hack attack. 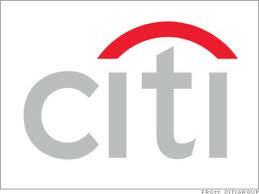 Citigroup mentioned that the customers will not be responsible from financial losses stemming from the attacks. Google has updated the Tool Bar Page Rank values of the web pages. It seems this update is coming after long time period (around 6 months). So, It looks like Google is reducing the priority/importance of this Tool bar page rank. Anyway, most of the website sales/estimation is happening based on this Page rank only. So, this page rank updates get some significance. Few of our new websites also got good page rank within very short time period. Our Christmas site, Great Quotes Site, and Best Jobs site got PR3. Our primary site QualityPointTech.com got PR 5. Our iphone news site, and Web development learning site got PR 2. 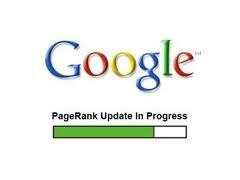 Since, most of our new sites got Google Page rank, it will be useful for selling them easily. i-e The potential buyer can easily understand the hard work done by our SEO Team just by seeing the Page Rank. Interestingly, Page rank of this blog (qualitypoint.blogspot.com) got reduced from 4 to 3. Working on to bring OnePass.Biz into Google first position for the search word "OnePass"
I have published a post in our OnePass site about bringing the Onepass site into Google First Position for the Search word "OnePass". I welcome any suggestions for achieving this target soon. Right now, we are focusing on getting inbound links and Social media promotion. If you have any other good way, you can share it thro' the comments sections. And, I need to know whether you want to keep onepass.biz as the single entry for all the free applications of QualityPoint, or whether we can start developing meta flight search application for onepass.biz. Wall Street Journal (WSJ) is reporting that the Domain registration and hosting company GoDaddy.com is about to be bought for $2 billion by Private-equity firms KKR, Silver Lake Partners, and another investment group. GoDaddy.com is the world's largest registrar of domain names. The site also sells e-commerce, security and other services to people and businesses looking to manage their online presence. Customers pay GoDaddy monthly fees, which brings the company steady cash flow. GoDaddy was founded in 1997 by Bob Parsons, who continues to be the company's owner and chief executive. It is known for its edgy advertising, including Super Bowl commercials. And, 2 months back Bob Parsons was criticized for killing elephant and putting the video of elephant killing in his website. ISI (Inter-Services Intelligence Directorate) is Pakistan's military equivalent of the Central Intelligence Agency (CIA). U.S. forces recovered the phone during a raid on bin Laden's compound in Abbottabad, Pakistan. In tracing the calls on the cellphone, American analysts have determined that Harakat commanders had called Pakistani intelligence officials. Even today, the Harakat leader, Maulana Fazlur Rehman Khalil lives unbothered by Pakistani authorities on the outskirts of Islamabad. Harakat “is one of the oldest and closest allies of Al Qaeda, and they are very, very close to the ISI,” said Bruce O. Riedel, a former CIA officer. The question of ISI and Pakistani Army complicity in Bin Laden’s hide-out now hangs like a dark cloud over the entire relationship between Pakistan and the United States, Mr. Riedel said. The phone discovery might also provide clues as to how bin Laden escaped from the Tora Bora region of Afghanistan nearly 10 years ago when American forces tried to capture him. The Pakistan-based Harakat ul-Mujahideen is classified as a "terrorist" organisation by the United States. Bin Laden's youngest wife, Amal Ahmed al-Sadah, is expected to leave Pakistan and return to her homeland, Yemen, in the following few days. U.S. forces have been holding Sadah, 29, since the May 2 raid on bin Laden's compound. Bin Laden wrote in a letter recovered from his compound in Pakistan, was that al-Quida lacked a religious element, something to convince Muslims worldwide that they are in a holy war with America. Maybe something like Taifat al-Tawhed Wal-Jihad, meaning Monotheism and Jihad Group, would do the trick, he wrote. I had previously mentioned about launching a separate website "TimeSheetScript.Com" for selling our Time Sheet Script. Since we have completed initial version of the new time Sheet website, I had redirected the time sheet sales page hosted in qualitypointtech.net into the new site. So, if you are interested in dong link exchange for our Time Sheet page, you can use our new website. You can find below the link exchange code. IEA (International Energy Agency) has announced that 28 members of IEA would release 2 million barrels a day (bpd) over an initial 30 days to fill the gap in supplies left by the disruption to Libya's output. Energy Department of United States said that it will release 30 million barrels of oil from its 727 million barrel reserve, about half of the 60 million barrels to be released globally. The U.S. release would be equivalent to 1.5 days of total U.S. oil consumption. It typically takes about 13 days for oil from the reserves to reach the market once the order is issued. This is the third time IEA member-country stocks have been used. IEA member countries released oil stocks in 2005, after Hurricane Katrina damaged oil and gas refineries in the Gulf of Mexico. And, IEA member countries mandated a stock release at the time of Iraq's invasion of Kuwait in 1990/1991. This Oil stock release plan may not lower the oil price. U.S President Barack Obama has announced the withdrawal of 10,000 US troops from Afghanistan this year and another 23,000 by the end of September 2012. Obama says "it is the beginning, but not the end, of our effort to wind down this war". He said: "Al-Qaeda is under more pressure than at any time since 9/11... We have taken out more than half of al-Qaeda's leadership. 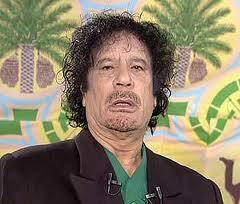 We have put al-Qaeda on a path to defeat, and we will not relent until the job is done." At least 68,000 US troops will remain in Afghanistan. 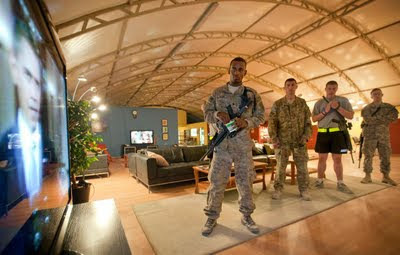 All US combat troops are scheduled to leave by 2013, provided that Afghan forces are ready to take over security. Although the size of the Afghan army, police and other security forces has grown to 290,000, according to NATO, their readiness to step up and replace U.S. forces is a question. Obama said the US was starting the withdrawal "from a position of strength"
He wants to focus more on growth of U.S instead of involving in other countries. He said: "We will not try to make Afghanistan a perfect place. We will not police its streets or patrol its mountains indefinitely. That is the responsibility of the Afghan government." "Six thousand Americans have died in Iraq and Afghanistan and $1 trillion has been spent. It was time to focus on nation-building at home. Watch below the video of Obama addressing "way forward in Afghanistan" from White House. Obama said al-Qaeda has been dramatically weakened, particularly by the May 1 raid that killed al-Qaeda leader Osama bin Laden. Documents found in bin Laden's compound, Obama said, showed the extent of the damage done to al-Qaeda's operations. Obama rejected the advice of Gen. David Petraeus, the commander of troops in Afghanistan. He urged that fewer troops be withdrawn. Outgoing Defense Secretary Robert Gates said he supports Obama's decision. The Taliban said the insurgency would continue until all foreign forces left. Taliban's Statement says that Obama's announcement was "symbolic". The Afghan defence ministry said that it was ready to take responsibility for fighting the Taliban and securing the country. "We appreciate the efforts and sacrifices made by the foreign forces in Afghanistan, but at the same time we congratulate them for returning back to their homelands after a long period of war," a spokesman said. See below the photo of Soldiers watching a rebroadcast of Barack Obama's speech on proposed troop withdrawal at Kandahar Airfield in Kandahar, Afghanistan. Photo Source: Asssociated Press. Click on the image to see the enlarged Image. Recently I had registered a domain name OnePass in .Biz gTLD. This domain is having Good Keywords with large Search volume. AdWord Keywords Tool is showing 135,000 Global monthly searches of the exact match keyword "onepass" itself. Right now, I am going to use this domain for keeping links of all our free applications. It will be useful for our users to access the free applications easily as anyone can easily remember this domain name "onepass.biz". And, we have started doing SEO to bring this site in Google first page for many keywords including "onepass". As part of this SEO effort, I am planning to do Link Exchange. If you are interested in doing link exchange you can add below link in your website or blog. Let me know once you add our link in your website/blog. I will be adding your link in http://qualitypointtech.net/commercial.php which is having Page Rank 3. Once after promoting this site, I am planning to start developing an web application which will help the users to search flights of any Airlines without leaving the OnePass.Biz. This Meta Search application will be developed using php cURL. Our Team is having good experience in cURL. We have already developed a web script for automatically submitting resume in more than 60 U.S. job sites. So, I believe this flight meta search engine will be launched soon in OnePass.Biz. Wall Street Journal (WSJ) has reported that Bridgewater Associates is nearly finished launching a $10 billion Hedge Fund. 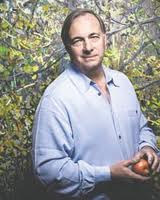 Ray Dalio’s Bridgewater Associates is the the world's biggest hedge-fund firm. The launch of this large fund indicates the latest sign of the hedge-fund industry's rebound from the 2008 financial crisis. Hedge funds are benefiting from pension funds' eagerness to use so-called alternative investments to juice returns and fill funding gaps. Bridgewater said its assets now top $100 billion which is alarge sum for a firm that depends on nimble trades across the globe. Bridgewater specializes in macroeconomic investing, using computer-executed trades in dozens of currency, bond and stock markets. You can watch the below video if you want to know what is Hedge fund and how they are different from Mutual Funds. I have published an online Tech News paper "The QualityPoint Daily" . It will be updated every 24 hours. You can subscribe to get the news in your email inbox daily. Or, you can embedd the below code in your blog or site to show this News Paper to your reader. And, I have published Medical Daily also. If you are interested to read health care news updates you can read this Medical Daily and you subscribe to get this Medical Daily into your email every day. We had added new features (Timeline & Mentions) to our Twitter Applications. You can see the details here. So, now you can switch between any of your twitter accounts connected with our Twitter Application, to see the timeline and mentions. And, you can reply and retweet from our application itself. i-e you can use all your Twitter accounts easily without signing in and signing out multiple times. You can freely use all the features (Autotweet, multipost, bulk add, stats) of our Twitter application in our site. 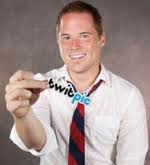 Even you can buy the source code of this Twitter application to start your own business. I haven't increased the price even after adding these new features. But I will be doing it within few days. So, you can buy this script now to get it at current price. Today (June 21st, 2011 Tuesday) Google is showing Special Doodle for Summer Solstice (i-e longest day time). This "First Day of Summer" Doodle was created by Takashi Murakami. Takashi Murakami is a Japanese artist who works in both fine arts media—such as painting—as well as digital and commercial media. The summer solstice occurs exactly when the Earth's and the moon's axial tilt is most inclined towards the sun, at its maximum of 23° 26'. Sol + stice derives from a combination of Latin words meaning "sun" + "to stand still." As the days lengthen, the sun rises higher and higher until it seems to stand still in the sky. Countries (Including India) lying to the north of the equator witness"Summer Solstice" Today. Summer Solstice results in the longest day and the shortest night of the year. The Northern Hemisphere celebrates in June, but the people on the Southern half of the earth have their longest summer day in December. However, contrary to popular belief, the earliest sunrise and latest sunset do not coincide with the summer solstice. For mid-northern latitudes, the earliest sunrise actually occurred on June 14, while the latest sunset is not due until June 27 . Watch the below video showing Sunrise on the summer solstice. Similarly, winter solstice occurs exactly when the axial tilt of a planet is farthest away from its star, depending on the polar hemisphere of reference. Winter solstice usually occurs on Dec. 21 or 22 each year in the Northern Hemisphere, and June 20 or 21 in the Southern Hemisphere. Are you facing any difficulty in making PayPal payment for buying our products? In my previous post, I had explained about using reliable and inexpensive hosting HostGator for hosing our products. As you will be getting inexpensive scripts and inexpensive hosting, you may be interested in buying our scripts. But right now, our sales pages are having only PayPal buttons. i-e Either you have to use your PayPal balance or Credit card for buying our Scripts. And, Indian PayPal users may see below message while trying to buy our script as paypal blocked the use/transfer of paypal balance between two paypal accounts. If anyone face any difficulty in using paypal or credit card for buying our script, you can contact me (rajamanickam.a@gmail.com) to get my bank account details. You can transfer the money to my bank account. Skype Technologies is firing its senior executives before the Microsoft deal closes, a move that reduces the value of their payout. As per Bloomberg News, Vice Presidents David Gurle, Christopher Dean, Russ Shaw and Don Albert were dismissed. Chief Marketing Officer Doug Bewsher and Anne Gillespie, head of human resources, were also fired. If the executives had stayed until after the Microsoft deal closed, their stock options would be worth more, so Skype and Microsoft save money by firing them now. The U.S. Federal Trade Commission (FTC) said it approved the Microsfot-Skype deal. Recently Comcast and Skype announced a partnership that will let Comcast customers make and accept widescreen, HD video calls through their television sets. Today, Skype announced a deeper integration with Facebook. i-e In the new version of the Skype, Skype for Windows users can instant message their Facebook friends via Skype, "like" and comment on friends’ Facebook status updates without logging into Facebook and view all their Facebook contacts in a new Facebook-dedicated contacts tab. Former Egyptian President Hosni Mubarak has cancer and his health is poor, Fareed Al-Deeb, a lawyer for the former President told Al-Arabiya television in an interview. "He is not dying, but he might reach this stage soon" Al-Deeb told the network. 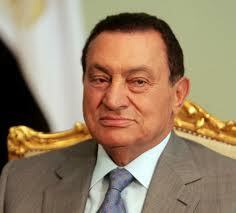 Few months back Mubarak resigned the Egypt President post. Mubarak has been ordered to stand trial on August 3 on charges of killing of protesters, which could carry the death penalty. He is also accused of abuse of influence, wasting public funds and unlawfully making private financial gains. He was admitted to hospital in April after reportedly suffering heart problems during his initial questioning. His two sons, Gamal, who was once viewed as a possible future president, and Alaa, are also in jail and will also stand trial alongside their father. The trial of Hosni Mubarak, due in August, could be moved from Cairo to the Red Sea resort of Sharm el-Sheikh for ‘security or health reasons’, the head of the Cairo Appeals Court, el-Sayyed Abdel-Aziz Omar, told a private TV channel. People will be remembering about the incident of Mubarak blocking the Internet within Egypt to suppress the protests against him in the start of February month. This important decision is made at ICANN meeting in Singapore. This decision was made by votes of ICANN Directors. The Board vote was 13 approving, 1 opposed, and 2 abstaining. New gTLDs will change the way people find information on the Internet and how businesses plan and structure their online presence. This is the biggest change to domain names since the creation of '.com' 26 years ago. Internet address names will be able to end with almost any word, and be in any language. But it will cost nearly $200,000 even to apply for the suffixes, and companies would need to show they have a legitimate claim to the name they are buying. But I am not sure how ICANN will verify the claim. Hnarakis,chief executive of Melbourne IT Digital Brand Services, told that the companies that will benefit most are "big brands with a clear marketing and customer education strategy to exploit the name for competitive advantage." Hundreds more suffixes could be created beginning as early as late next year. The new domains could be categorized by subjects including industry, geography, etc. Brands need to act now if they want to apply for one of these new domain names as it is not as simple as registering a .com address. It is a complex task that needs thought and investment. Some people feel that the new gTLDs will cause confusion. For example, assume that we are creating many websites with extension ".qpt" If some one else create a website with .qpt extension, our customers will be confused. 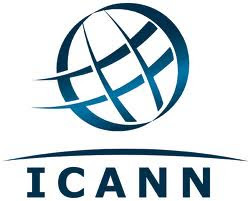 But ICANN believe that this can be managed effectively using appropriate Tools. Let us see how it is going to handle. I think this new decision will make significant changes in SEO (Search Engine Optimization) also. Recently we had launched an Inspiring and Motivational Quotes Site TheGreatQuotes.com. We have added lot of features such as sharing thro' email, facebook and Twitter, ability for marking favorite quotes and Quotes search features. And, we made this Great Quotes Site SEO friendly and started adding lot of Quotes in various Topics. We are adding both Text Quotes and Picture(Image) Quotes. Today we added Two new pages to this Great Quotes website. One page is for listing the Authors of the Great Quotes. In this Authors page, we can see the list of Authors and two icons near each Author name. Clicking on the First icon ( ) will show the list of Quotes said by that particular Author in Text format. The next Icon ( ) will show the list of Quotes said by that particular Author in Image/Picture format. The other page is for listing various Topics available in the Great Quotes site. This one is also having two icons, one for showing Text Quotes and another for showing Image Quotes on that particular Topic. Computer Failure Delays United Flights in U.S. Update- United Airlines says "Our systems are up. We are in the process of resuming ops for UA"
Passengers were stranded at airports after a failure in United Airlines’ computer system. The Computer Failure affects United Airlines' at airports in San Francisco, Chicago and Washington. 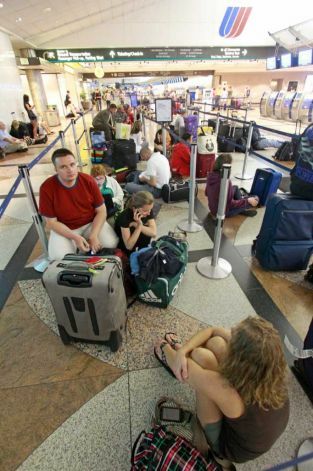 Many passengers left sitting in terminals or stuck on planes that were grounded. The problems began at 8:15 p.m. New York time, when the computer failure knocked out its flight departures, airport processing and reservations systems. United Airlines' website is showing below update. This evening, United Airlines experienced a computer outage interrupting the airline’s flight departures, airport processing and reservations systems. As a result, customers may experience difficulties completing transactions at united.com and United reservations. Our technology team is working to resolve the issue as soon as possible. We apologize for the disruption being caused to travelers at affected airports and we are seeking to resume operations as quickly as possible. You can follow the United Airlines twitter account @united for getting the latest updates. As of now, the latest update is " We're still trying to fix the issue. We will keep you posted." It seems the United Airlines solved the issue. Their latest tweet says "Our systems are up. We are in the process of resuming ops for UA. We again apologize for the disruption caused to our customers." And, United Airlines has issued a waiver for travel plans impacted by the computer outage on June 17 & 18. You can see the details United Airlines website. Father's Day is celebrated on the third Sunday of June month every year in many Countries including USA for honoring fathers and celebrating fatherhood, paternal bonds, and the influence of fathers in society. This year (2011) Father's Day will be celebrated on June 19th. The idea of Father's Day was conceived slightly more than a century ago by Sonora Dodd of Spokane, Washington, while she listened to a Mother's Day sermon in 1909. Dodd wanted a special day to honor her father, William Smart, a widowed Civil War veteran who was left to raise his six children on a farm. In United States, the first presidential proclamation honoring fathers was issued in 1966 when the U.S President Lyndon Johnson designated the third Sunday in June as Father's Day. Father's Day has been celebrated annually since 1972 when the U.S President Richard Nixon signed the public law that made it permanent. U.S. President Barack Obama grew up without his dad, and has said that being a father is the most important job he has. That's why the he is joining dads from across U.S in a fatherhood pledge. And he had published a book for Children. It seems Father's Day is getting more commercial interest in recent years. Father's Day Gift sales is growing every year. Watch below the video of few Father's Day Quotes Collection. Obama's 2011 Father's Day Speech. 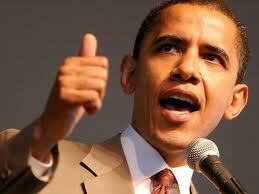 Watch below the Viedo of U.S President Barack Obama's Father's Day Address for this year. You can read below the Transcript of this speech. Hi, everybody. This Father’s Day weekend, I’d like to spend a couple minutes talking about what’s sometimes my hardest, but always my most rewarding job – being a dad. I grew up without my father around. He left when I was two years old, and even though my sister and I were lucky enough to have a wonderful mother and caring grandparents to raise us, I felt his absence. And I wonder what my life would have been like had he been a greater presence. That’s why I’ve tried so hard to be a good dad for my own children. I haven’t always succeeded, of course – in the past, my job has kept me away from home more often than I liked, and the burden of raising two young girls would sometimes fall too heavily on Michelle. But between my own experiences growing up, and my ongoing efforts to be the best father I can be, I’ve learned a few things about what our children need most from their parents. First, they need our time. And more important than the quantity of hours we spend with them is the quality of those hours. Maybe it’s just asking about their day, or talking a walk together, but the smallest moments can have the biggest impact. They also need structure, including learning the values of self-discipline and responsibility. Malia and Sasha may live in the White House these days, but Michelle and I still make sure they finish their schoolwork, do their chores, and walk the dog. And above all, children need our unconditional love – whether they succeed or make mistakes; when life is easy and when life is tough. And life is tough for a lot of Americans today. More and more kids grow up without a father figure. Others miss a father who’s away serving his country in uniform. And even for those dads who are present in their children’s lives, the recession has taken a harsh toll. If you’re out of a job or struggling to pay the bills, doing whatever it takes to keep the kids healthy, happy and safe can understandably take precedence over all else. That’s why my administration has offered men who want to be good fathers a little extra support. We’ve boosted community and faith-based groups focused on fatherhood, partnered with businesses to offer opportunities for fathers to spend time with their kids at the bowling alley or ballpark, and worked with military chaplains to help deployed dads connect with their children. We’re doing this because we all have a stake in forging stronger bonds between fathers and their children. And you can find out more about some of what we’re doing at Fatherhood.gov. But we also know that every father has a personal responsibility to do right by our kids as well. All of us can encourage our children to turn off the video games and pick up a book. All of us can pack a healthy lunch for our son, or go outside and play ball with our daughter. And all of us can teach our children the difference between right and wrong, and show them through our own example the value in treating one another as we wish to be treated. Our kids are pretty smart. They understand that life won’t always be perfect, that sometimes, the road gets rough, that even great parents don’t get everything right. But more than anything, they just want us to be a part of their lives. So recently, I took on a second job: assistant coach for Sasha’s basketball team. On Sundays, we’d get the team together to practice, and a couple of times, I’d help coach the games. It was a lot of fun – even if Sasha rolled her eyes when her dad voiced his displeasure with the refs. But I was so proud watching her run up and down the court, seeing her learn and improve and gain confidence. And I was hopeful that in the years to come, she’d look back on experiences like these as the ones that helped define her as a person – and as a parent herself. That’s something worth remembering this Father’s Day, and every day. Thanks, and Happy Father’s Day to all the dads out there. Have a great weekend. Google is showing below Doodle for this Father's Day. Note that this Doodle appears in selected countries only. Google showed below "Father's Day Doodles" in the previous decade. We can notice that all the Doodles created till 2005 are having "TM" symbol. But this "TM" symbol is NOT there in the Doodles that are created after 2005. I would like to know why Google had removed "TM" symbol from Doodle. If you know any details about this, you can share it thro' the comments.